Candles flickered and white-robed elders chanted prayers as the country bade farewell Tuesday to Patriarch Alexy II, who guided the country’s dominant Russian Orthodox Church through its remarkable recovery after decades of Communist-era repression. The BBC has a clip from the very moving funeral service here. While Alexy led the Church out of the rubble of the Soviet Union, his own history has been clouded with allegations that he worked with the secret police — was even decorated by them. In this, his career reflects the recent history of the Church, which after the first vicious period of persecution was openly criticized by many Russians for being too pliable, too accommodationist with its old adversaries in the Kremlin. In some cases, critics said, the Church had even assisted the authorities in the suppression of believers and their communities. When its Holy Synod meets next month to choose a new patriarch, the Russian Church will have an opportunity to come to grips with this past, and with other questions: nationalism, the status of minority ethnic and religious groups, secularization and consumerist materialism. Will the new patriarch lead the Church into a future of growth and spiritual renewal, or will he strike another “Faustian bargain” with autocratic leaders? In October 1917, Felix Dzherzhinsky, the founder of the Bolshevik secret police, spelled out in cold blooded terms how the use of terror would become the governing principle of Russia for the next 70 years. Do not imagine that I have any concern with formal law. We need no justice now. What we need is a fight to the bone. I order, I demand the forging of the revolutionary sword which shall destroy all counter-revolutionaries. The persecution of the Russian Church began with the Bolshevik Revolution, with mass arrests of clergy and believers, confiscation of Church property, conversion of monasteries and churches into stables, workshops and prison barracks, and the public desecration of the relics of saints. In 1922, the Patriarch of Moscow and All Russia, Tikhon, was arrested and ultimately sent into exile. The Metropolitan of Petrograd, Veniamin, was arrested, condemned to death and shot. 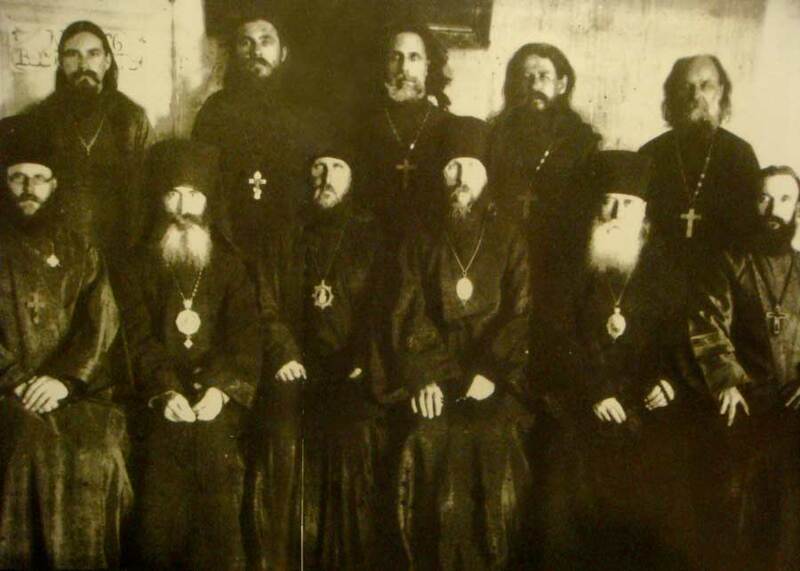 By the end of 1923, some 2,700 Orthodox priests, 3,400 nuns, and 2,000 monks were killed. Estimates of the numbers of Orthodox clergy who perished, as with the precise numbers of those millions who died in the vast Soviet Gulag system, are notoriously unreliable. But one estimate puts the total number of Church people killed during the Soviet period at 600 bishops, 40,000 priests, and 120,000 monks and nuns. Many died in the inhumane conditions of the Gulag work camps, in prisons, or were executed and buried in unmarked mass graves. This went on for long, bloody decades. Some point to Fr. Alexander Men, a charismatic Russian Orthodox priest who was murdered in 1990, as one of the last martyrs of the faith under Soviet rule. The persecution of the Russian Church crested during the Stalinist purges of the late 1930s, at which point the Soviets had virtually destroyed the Church’s institutional capabilities. In his 1967 book “The Rule of Terror,” Austrian journalist Hellmut Andics estimated that the number of religious institutions in Russia fell from 30,000 to 20,000 from 1937 to 1938. “In 1937 alone, at the peak of the anti-religious campaign, 1,100 Orthodox, 240 Catholic, 61 Protestant, and 110 Muslim places of worship were closed during the year,” Andics wrote. The campaign of annihilation lifted during WWII when Stalin needed the Orthodox Church to prop up patriotic spirits in the face of an invasion by Hitler’s Wehrmacht. The repression of believers continued in the post-war period. Slowly, some Russians began to speak out about the futility of imposing atheism on a land that had been Christian for 1,000 years — and the failures of their Church. In 1974, a book of essays published by prominent Russian dissidents, including Alexander Solzhenitsyn, looked at the state of modern day Russia and its religious life. In the essay “The Schism Between the Church and the World,” Evgeny Barbanov explored the crisis in the Russian Church and its tendency — always strong in Orthodoxy — toward renunciation of the world at the expense of its mission to transform the culture. Barbanov praised the priests Nikolai Eshilman and Gleb Yakunin for a 1965 public letter of protest to Patriarch Alexius. The priests, Barbanov said, rightly criticized church officials for the “craven, hypocritical position adopted by the higher administration. They showed convincingly how a significant part of the governing episcopate, with voluntary silence or cunning connivance, had assisted atheists to close churches, monasteries and religious schools, to liquidate religious communities, to establish the illegal practice of registering christenings, and had yielded to them control over the appointment and transfer of priests.” But accountability was not to be found. That system ultimately exhausted itself with the heavy burden of violence and repression, the long assault on human dignity, and the unsustainable socialist economy. But for decades there were many in the West who were convinced that it was here to stay. Some saw through it as a false Gospel. In his 1953 book “Communism and Christ,” Charles W. Lowry observed that it was not the “naïve simplicity” of Marxism that gave it such power, but its appeal to people as a revolutionary faith. “The miracle of Marxism is its social and institutional embodiment and its transformation into an aggressive, universal religion of salvation,” Lowry wrote. A phony religion, having no reality of its own, must borrow its expressions from true faith. In 1936, the newspaper Pravda published a Communist anthem written for Stalin that evoked the tones of Byzantine hymnody. Thou who makest vibrate the musical chords. Sun reflected of millions of hearts. The Russian Church today is growing, nourished by the blood of millions of martyrs who perished under the Soviet regime. Their deaths, as St. John Chrysostom put it in another age, is a “proof of the Resurrection, mocking at demons.” Orthodox parishes, at 6,000 in late 1980s, now number almost 30,000, the Church says. Where there were three institutions of theological training, there are now more than 100. Monasteries, reduced to a mere 18, have grown to more than 750. The Church claims a strong interest in vocations. In a slender book on the subject of nihilism, the priest-monk Fr. Seraphim Rose showed how radically materialist ideologies such as communism and fascism will always fail as long as a single believer remains. In the person of the believer, all the arguments against God will be refuted. Now we wait to see if Russia, with the best of intentions and the help of God, can show the world what is possible.